OBJECTIVE: To describe the outcomes of a 2-step approach to evaluating the appropriateness of elective diagnostic catheterization orders. METHOD: This program evaluation used data from elective diagnostic catheterization orders from 2015 that pertained to 1 health insurer’s Medicare Advantage plans. The classifications of orders by the rule-based system and the approval rates after review by the consult system are presented for these plans. Chi-square tests were conducted to examine whether classifications of the orders by the rule-based and consult systems were independent of plan type, specialty of the ordering physician, or state of residence of the patient. RESULTS: A total of 3808 orders for elective diagnostic catheterization in 2015 met the inclusion criteria. Inadequate initial justification was provided for 699 (18.4%) of the orders; after inquiry through the consult system, 509 (72.8%) of the remaining orders were approved. Among the 344 (9%) orders that were deemed potentially nonindicated according to the rule-based system, the consult system approved 298 (86.6%). Of the 2765 (72.6%) orders that were deemed potentially appropriate by the rule-based system, the consult system approved 2740 (99.1%). Chi-square tests did not show a significant association between plan type or physician specialty and the classification produced by the rule-based system or the consult system. The patients’ state of residence was significantly associated with the classification of orders for the rule-based system (P <.001), but not for the consult system. CONCLUSION: Rule-based decision support can be combined with consult-based peer discussion to determine whether care is appropriate when guidelines are ambiguous. Poorly justified orders are often supportable after gathering information on the patient’s presentation. For much of modern history, physicians have made decisions about patient care by consulting their peers and by using rule-based approaches. Specialists have been consulted throughout history and became a necessity in the 1800s, as medicine became more complex. To reduce the need for consulting specialists for routine decision-making and to increase the likelihood that evidence-based medicine will be practiced, rule-based decision support systems have been used since the 1970s to help physicians make healthcare-related decisions. To facilitate the practice of evidence-based medicine, multiple professional societies have established appropriateness criteria, which are rule-based algorithms for systematically assessing whether medical care is likely to be appropriate, inappropriate, or of uncertain appropriateness. The American College of Cardiology (ACC) established the ACC Foundation Appropriateness Criteria Working Group in 2005 to characterize the indications for which diagnostic studies are likely to affect a patient’s care in a positive way.1,2 Appropriateness criteria have been introduced by the ACC for many diagnostic modalities, including diagnostic catheterization, single-photon emission computed tomography (CT), cardiac magnetic resonance imaging, cardiac CT, cardiac radionuclide imaginghttp://www.ahdbonline.com/administrator/index.php?option=com_mams&view=article&layout=edit&art_id=2646#affiliations, echocardiography, and stress echocardiography.3-8 As a byproduct of these efforts, decision support tools have been established to foster evidence-based care. Despite the existence of evidence-based guidelines, wide variation exists in actual clinical practice. Furthermore, substantial regional variation in diagnostic practices has been documented.11 To address this issue, prior authorization programs have been used to ensure that medical care is consistent with evidence-based practices. The prior authorization process requires ordering physicians to seek permission before delivering care and creates an opportunity for outside parties to deliver messages on evidence-based care. The prior authorization program that is the subject of this study operates on a nondenial basis, as it modifies utilization by educating physicians rather than by restricting their activities. This educational approach has been shown to be more effective at reducing imaging utilization than a prior authorization program using denials.12 A study examining neuroimaging orders that were changed as a result of the program found that in more than 99% of the cases examined, the ordering physician did not request again the original order within 1 month after agreeing to change it.13 These findings suggest that the nondenial approach may be effective in managing utilization and that changes recommended by the program largely met the clinical needs. Ensuring that patients are appropriately selected for cardiovascular diagnostics is one means for improving the quality of care.14 Our study examines the outcomes of a specialty benefit management company’s 2-stage approach toward ensuring appropriate selection through prior authorization. The company uses a rule-based decision support system to identify orders that are potentially appropriate and thus can be subjected to less-intensive review, and then has all the orders manually reviewed by its consult process. At minimum, every order is reviewed by a customer service representative. 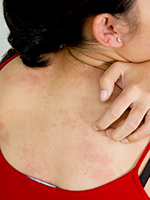 When needed, the consult process has nurses and physicians review the orders as well. When orders are not clearly appropriate after review by a customer service representative, nurse, and physician, the ordering physician is contacted and then engaged in a physician-led peer-to-peer consult. This program evaluation examined how orders for outpatient elective diagnostic cardiac catheterization were processed by a specialty benefit management company simultaneously using a rule-based and a consult-based system for evaluating orders. Prior authorization outcomes from the consult system were grouped according to the preliminary determination from the rule-based system. Additional subanalyses were performed to examine the impact of patient location and the ordering physician’s specialty on rule-based and consult-based system outcomes. The rule-based decision support system. To efficient­ly process orders, the prior authorization program uses a rule-based approach for making the preliminary determination of whether orders are potentially appropriate, potentially nonindicated, or inadequately justified. Ordering physicians provide supporting rationale for their orders to the nondenial prior authorization program by selecting a series of criteria for justifying the order. The criteria may be selected on the specialty benefit management company’s website or by speaking with a customer service representative. The criteria selections are then compared with a set of rules that have been defined by the specialty benefit management company using the scientific literature and expert consensus on good clinical practice. The sequence of responses submitted with an order may trigger a rule suggesting that medical care is either potentially appropriate or potentially nonindicated. Conversely, orders may trigger neither type of rule, and may thus appear to be inadequately justified. Regardless of the outcome of the rule-based system, all orders are sent to the consult system. The consult system. 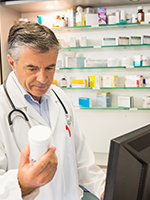 The prior authorization program operates a 3-tier model for performing consults on orders. All cardiac catheterization orders are initially reviewed by a customer service representative for information that might have been input improperly during the initial ordering process, which enhances the rate of immediate approvals. Although the consult system is used for every order, the vast majority of the orders deemed potentially appropriate by the rule-based system are approved by the customer service representative. If the customer service representative is unable to approve an order on the basis of the information initially provided, he or she refers the order to a nurse reviewer for further inspection. If the nurse reviewer is unable to obtain the necessary information to justify the order, or if a potential concern exists about the order, the order is passed to a consult physician for review. If the consult physician cannot approve the order without further information, the consult physician engages in a peer-to-peer dialogue with the ordering physician that is centered on education, quality improvement, and understanding why the order was made. The discussion provides the consult physician with greater detail on the patient’s clinical situation and fills gaps that may exist in the information provided during the ordering process. The discussion is also intended to provide the ordering physician with the training necessary to make guidelines-based orders in the future and to work with the ordering physician through the process of interpreting the guidelines in the context of the current patient. Unlike a system that provides immediate, automated feedback in cases of nonapproval, the discussion process enables prior authorization to consider the intricacies of the patient’s situation. Because the prior authorization program operates under a nondenial model, the only requirement that the ordering physician must fulfill to receive approval is to engage in an educational peer-to-peer discussion with a physician contracted with the specialty benefit manager. The peer-to-peer discussion has 5 potential outcomes. If the ordering physician (1) does not respond to the request for the meeting within 2 business days, authorization is not issued (ie, a no call back). If the meeting occurs, the ordering physician and consult physician may (2) reach a consensus that diagnostic catheterization is appropriate, (3) agree that a different study is appropriate, (4) decide that the order for the catheterization should be withdrawn without a substitute study, or (5) reach no consensus. Authorization is always issued in the event of no consensus. HealthHelp, the specialty benefit manager operating the nondenial prior authorization program studied, obtained a sample of all orders for elective diagnostic catheterization made during 2015 that pertained to the Medicare Advantage membership of Humana Inc., a healthcare company that provides medical and pharmacy benefit plans nationally.20 Exclusions were made for orders that pertained to individuals with health plans that used risk arrangements other than traditional full insurance (such as administrative services only) and for orders that pertained to individuals with health plans that were not an HMO or a PPO plan (such as private fee for service). Each order had 3 possible outcomes from the rule-based decision support system and 5 possible outcomes from the consult system. The number of orders receiving each of the 15 potential combinations of the rule and consult outcomes were counted. The consult system outcomes were then consolidated into 2 groups—“approved” and “other outcome.” The consults that resulted in no call back, a change in the order, withdrawal of the order, or no consensus were included in the “other outcome” category to indicate that the consult process did not lead to a straightforward approval. The frequencies of outcomes were arranged hierarchically, with the frequency of each consult outcome being grouped according to the initial outcome from the rule-based decision support system. Outcomes were then categorized according to whether they pertained to individuals with HMO or PPO plans, whether they pertained to orders placed by cardiologists or by noncardiologists, and by the state in which the patient resided. Chi-square tests were conducted to examine whether the classification of the order by the rule-based and consult systems were independent of the plan type, physician specialty, or state of residence. As shown in the Figure, the prior authorization program processed 4102 orders for elective outpatient diagnostic catheterization pertaining to patients with Medicare Advantage insurance from the national health insurance company in 2015. After exclusions were made, the study sample consisted of 3808 orders. Among these orders, 1254 (32.9%) came from individuals with an HMO plan and 2554 (67.1%) came from individuals with a PPO plan. The majority (2918; 76.6%) of the orders were made by cardiologists. Although the patients were dispersed nationally, 41.8% of the orders were from patients residing in 5 states, including Texas (10.7%), Louisiana (9.4%), Ohio (7.7%), Kentucky (7.6%), and Florida (6.4%). The remaining 58.2% of the orders involved patients from 38 additional states. As shown in Table 1, 72.6% of the orders overall were deemed potentially appropriate by the rule-based decision support system. Of the orders deemed potentially appropriate, less than 1% did not receive final approval by the consult system. Most of the orders originally deemed to be nonindicated or inadequately justified were eventually approved by the consult system, but a substantial proportion, especially among the potentially nonindicated orders, were not approved. Overall, only 261 (6.9%) of the 3808 orders were not approved by the consult system. 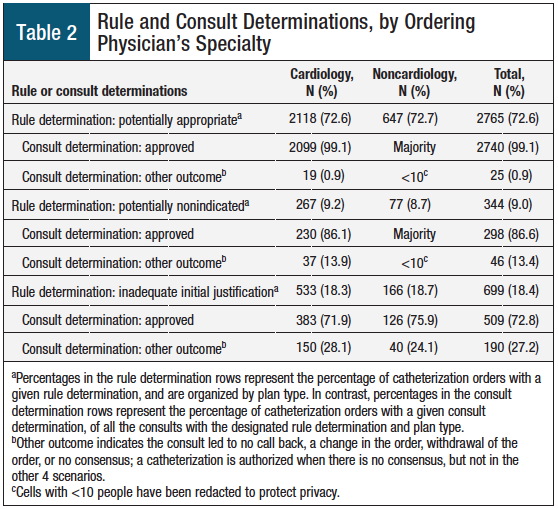 The rule and consult determinations were stratified by plan type (Table 1), physician specialty (Table 2), and the patient’s state of residence (Table 3). Chi-square tests did not show a significant association between plan type (P = .18) or physician’s specialty (P = .89) and whether an order was classified by the rule-based system as potentially appropriate, potentially nonindicated, or having inadequate initial justification. However, a significant association was found between the classification of the order by the rule-based system and the patient’s state of residence (P <.001). Chi-square tests also did not show a significant association between the determination of the consult and the plan type (P = .10), the physician’s specialty (P = .57), or the patient’s state of residence (P = .73). Overall, the orders that were deemed potentially appropriate by the rule-based system were the most likely to be approved by reviewers, and the orders that were deemed to have inadequate initial justification were the least likely to be approved by reviewers. Although 27.4% of the overall orders were not designated as potentially appropriate by the rule-based system, only 6.9% of the total orders were not explicitly approved by the consult system. These findings suggest that if the prior authorization program did not implement a consult system or a nondenial model, a substantial number of patients who needed diagnostic catheterizations might not have ­received them. Because rule-based appropriateness determinations can be made with minimal cost, and consult-based appropriateness determinations can require expensive physician time, the combination approach enables peer consults to be used judiciously. 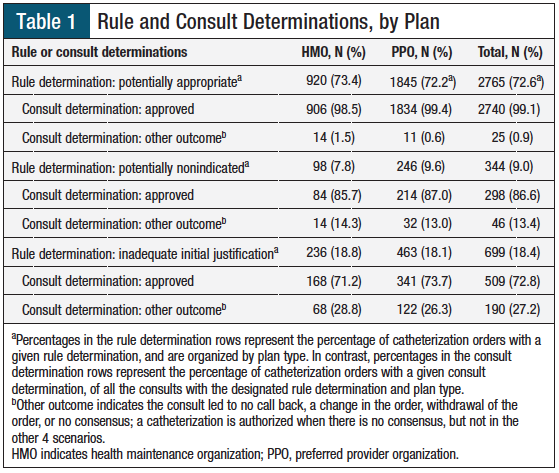 The ambiguity in the guidelines for diagnostic catheterization forces purely rule-based prior authorization programs to take a laissez-faire approach, with a greater number of patients receiving unnecessary catheterizations, or a conservative approach, with a greater number of patients not receiving the necessary catheterizations. By implementing a combination approach, the prior authorization program examined is conservative, while enabling patients to receive needed care. A total of 72.6% of orders were deemed potentially appropriate by the rule-based system in 2015, which differs from the finding of a previous study that 35.3% of orders in 2010 and 2011 within New York State’s Cardiac Diagnostic Catheterization Database were rated as appropriate.21 Several plausible reasons exist for this discrepancy, including that the New York study used data8 that preceded the publication of the ACC appropriate use criteria, and that the present study used a proprietary set of criteria that differed from those used by the New York study.8 Furthermore, because the consult process used by the prior authorization program has an educational focus, one would expect that physicians learn to order more appropriately over the years that the process has been in place. In contrast to these studies, the rule-based system in the present study determined that 9.0% of orders were potentially nonindicated and 18.4% of orders had inadequate initial justification, which is a slightly lower rate of inappropriateness and ambiguity (Table 2). Although some of the difference may be because the orders were for different indications in each of the studies, another possibility is that the educational consult process used by the prior authorization program increased the quality of the orders. The interstate variation in physician ordering behavior shown in the present study is consistent with the findings that the Dartmouth Atlas Project has been demonstrating for more than a decade.24 Because physicians learn practice behaviors during their residencies and tend to continue their practices near where they were trained, geographic practice pattern variations persist. Nondenial prior authorization has the potential to provide physicians with supplemental educational materials that may shift ordering behaviors. Nonetheless, in the case of diagnostic catheterization, some state variation has persisted. This study has several limitations that affect the degree to which the findings of this study can be compared with others. The findings of this study represent the program at a steady state, and thus conclusions cannot be drawn as to how the program might have enhanced appropriateness over time. In addition, the rule-based system used a set of proprietary criteria that are based on published evidence but do not directly replicate professional society guidelines. Thus, the outcomes of the rule-based system might have been different if particular versions of professional society guidelines had been used. Finally, orders for diagnostic catheterizations are made for a heterogeneous set of reasons. It is possible that there was variation among health plans, states, or medical specialties regarding the reasons for which diagnostic catheterizations were being ordered. When physician reviewers evaluate orders as a part of a nondenial prior authorization program, they are able to obtain the information necessary to determine whether care of uncertain appropriateness should be approved. Because published guidelines suggest that there are many situations in which the need for diagnostic catheterization is ambiguous, the peer-to-peer consults that occur within nondenial prior authorization provide a valuable opportunity for 2 physicians to work together to explore what is best for each patient. The consult process plays an important role in ensuring that all patients receive the necessary and most appropriate diagnostic tests, whereas the rule-based decision support system enables orders to be triaged so that peer consults may be used in a judicious manner. In this study, the vast majority of orders sent to peer consultation, whether for inadequate initial justification or for being potentially nonindicated, were ultimately approved. The findings of this study suggest that there may be clinical benefits to supplementing rule-based review with peer review rather than treating them as substitutes. The authors would like to thank Teresa Rogstad for her contributions to the manuscript. Funding for the development of this manuscript was provided by HealthHelp and Humana. Dr Powell is an employee of HealthHelp and of Payer+ Provider Syndicate, owns stocks of many healthcare companies, and has received honoraria from the American College of Radiology and a research grant from the Max Institute of Healthcare Management. Dr Price and Mr Long are employees of Humana. Mr Nguyen was an employee of HealthHelp during this study. Mr Smith is an employee of HealthHelp. Dr Deshmukh is an employee of HealthHelp, was a consultant to Bayer and the Patient-Centered Outcomes Research Institute, and owns stocks of several healthcare companies. Dr Powell is Director, Outcomes Research, HealthHelp, Houston, TX; Dr Price is Consultant, Clinical Vendor Oversight and Trend Management, Humana, Louisville, KY; Mr Nguyen is Analyst, Medical Economics & Informatics, HealthHelp; Mr Smith is Vice President, Medical Economics & Informatics, HealthHelp; Mr Long is Director, Clinical Vendor Oversight and Trend Management, Humana; Dr Deshmukh is Chief Medical Officer, HealthHelp. 1. Patel MR, Spertus JA, Brindis RG, et al. ACCF proposed method for evaluating the appropriateness of cardiovascular imaging. J Am Coll Cardiol. 2005;46:1606-1613. 2. Bonow RO. ASNC 2009 keynote lecture: measuring cost, cost-effectiveness, and quality in cardiovascular imaging. J Nucl Cardiol. 2010;17:362-369. 3. Brindis RG, Douglas PS, Hendel RC, et al. ACCF/ASNC appropriateness criteria for single-photon emission computed tomography myocardial perfusion imaging (SPECT MPI). J Am Coll Cardiol. 2005;46:1587-1605. Erratum in: J Am Coll Cardiol. 2005;46:2148-2150. 4. Hendel RC, Patel MR, Kramer CM, et al. ACCF/ACR/SCCT/SCMR/ASNC/NASCI/SCAI/SIR 2006 appropriateness criteria for cardiac computed tomography and cardiac magnetic resonance imaging. J Am Coll Cardiol. 2006;48:1475-1497. 5. Douglas PS, Khandheria B, Stainback RF, et al. ACCF/ASE/ACEP/ASNC/SCAI/SCCT/SCMR 2007 appropriateness criteria for transthoracic and transesophageal echocardiography. J Am Coll Cardiol. 2007;50:187-204. 6. Douglas PS, Khandheria B, Stainback RF, et al. ACCF/ASE/ACEP/AHA/ASNC/SCAI/SCCT/SCMR 2008 appropriateness criteria for stress echocardiography. J Am Coll Cardiol. 2008;51:1127-1147. 7. Hendel RC, Berman DS, Di Carli MF, et al. ACCF/ASNC/ACR/AHA/ASE/SCCT/SCMR/SNM 2009 appropriate use criteria for cardiac radionuclide imaging. J Am Coll Cardiol. 2009;53:2201-2229. 8. Patel MR, Bailey SR, Bonow RO, et al. ACCF/SCAI/AATS/AHA/ASE/ASNC/HFSA/HRS/SCCM/SCCT/SCMR/STS 2012 appropriate use criteria for diagnostic catheterization. J Am Coll Cardiol. 2012;59:1995-2027. 9. Lin FY, Dunning AM, Narula J, et al. Impact of an automated multimodality point-of-order decision support tool on rates of appropriate testing and clinical decision making for individuals with suspected coronary artery disease: a prospective multicenter study. J Am Coll Cardiol. 2013;62:308-316. 10. Miller JA, Raichlin E, Williamson EE, et al. Evaluation of coronary CTA Appropriateness Criteria in an academic medical center. J Am Coll Radiol. 2010;7:125-131. 11. Song Y, Skinner J, Bynum J, et al. Regional variations in diagnostic practices. N Engl J Med. 2010;363:45-53. Erratum in: N Engl J Med. 2010;363:198. 12. Robinson JD, Hippe DS, Hiatt MD. 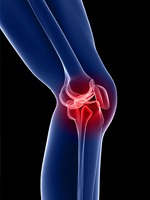 The effect of a no-denial policy on imaging utilization. J Am Coll Radiol. 2013;10:501-506. 13. Powell AC, Hippe DS, Long JW, Robinson JD. Reinitiation of withdrawn or modified neuroimaging requests after collaborative consultation. Acad Radiol. 2015;22:1433-1438. 14. Douglas P, Iskandrian AE, Krumholz HM, et al. Achieving quality in cardiovascular imaging: proceedings from the American College of Cardiology–Duke University Medical Center Think Tank on Quality in Cardiovascular Imaging. J Am Coll Cardiol. 2006;48:2141-2151. 15. Chandrasekar B, Doucet S, Bilodeau L, et al. Complications of cardiac catheterization in the current era: a single-center experience. Catheter Cardiovasc Interv. 2001;52:289-295. 16. Dehmer GJ, Weaver D, Roe MT, et al. A contemporary view of diagnostic cardiac catheterization and percutaneous coronary intervention in the United States: a report from the CathPCI Registry of the National Cardiovascular Data Registry, 2010 through June 2011. J Am Coll Cardiol. 2012;60:2017-2031. Erratum in: J Am Coll Cardiol. 2012;60:2605-2606. 17. Lucas FL, DeLorenzo MA, Siewers AE, Wennberg DE. Temporal trends in the utilization of diagnostic testing and treatments for cardiovascular disease in the United States, 1993–2001. Circulation. 2006;113:374-379. 18. Rosenthal DI, Weilburg JB, Schultz T, et al. Radiology order entry with decision support: initial clinical experience. J Am Coll Radiol. 2006;3:799-806. 19. Powell AC, Levin DC, Kren EM, et al. 2005 to 2014 CT and MRI utilization trends in the context of a nondenial prior authorization program. Health Serv Res Manag Epidemiol. 2017;4:1-6. 20. United States Securities and Exchange Commission. Form 10-K: annual report pursuant to section 13 or 15(d) of the Securities Exchange Act of 1934: for the fiscal year ended December 31, 2015. Humana Inc. February 18, 2016. www.sec.gov/Archives/edgar/data/49071/000004907116000117/hum-20151231x10k.htm. Accessed October 1, 2017. 21. Hannan EL, Samadashvili Z, Cozzens K, et al. Appropriateness of diagnostic catheterization for suspected coronary artery disease in New York State. Circ Cardiovasc Interv. 2014;7:19-27. 22. Willens HJ, Hendel RC, Inhaber FR, et al. Appropriateness use criteria for transthoracic echocardiography: relationship with radiology benefit managers preauthorization determination and comparison of the new (2010) criteria to the original (2007) criteria. Am Heart J. 2011;162:772-779. 23. Carryer DJ, Askew JW, Hodge D, et al. The impact of ordering provider specialty on appropriateness classification. J Nucl Cardiol. 2012;19:285-290. 24. Dartmouth Medical School Center for the Evaluative Clinical Sciences. The care of patients with severe chronic illness: an online report on the Medicare program by the Dartmouth Atlas Project. Lebanon, NH; 2006. www.dartmouthatlas.org/downloads/atlases/2006_Chronic_Care_Atlas.pdf. Accessed May 5, 2018. 7.2 million will have atrial fibrillation. The medical costs related to CVD far exceed the medical costs attributed to most other health disorders, including Alzheimer’s disease.2 In addition to the direct costs of medical care and prescription drugs, the cost of diagnostic testing in CVD is enormous and is growing steadily. These tests and technologies include extensive bloodwork surveillance, echocardiography, cardiac magnetic resonance and computed tomography angiography, nuclear scanning, and cardiac catheterization. Cardiac catheterization has always been the gold standard for CVD diagnostic testing. Although invasive and associated with defined risks, cardiac catheterization provides precise anatomic and physiologic information that can quickly influence the patient’s care. Powell and colleagues provide a thoughtful study on the importance of evaluating the appropriateness of physician orders for patients to undergo elective diagnostic cardiac catheterization.3 The approach described in the study combines rule-based decision support with a consult-based peer discussion to determine whether the order for diagnostic cardiac catheterization was appropriate. Unlike the more common system of nonapproval, the altruistic goal of this approach is to engage the ordering physician in a peer-to-peer discussion, leading to the approval, as well as education regarding improved documentation and more judicious ordering in the future. Of the 3808 orders reviewed, 699 (18.4%) were determined to have inadequate initial justification. Adding a peer-to-peer educative system, 509 (72.8%) were subsequently approved. In addition, among 344 (9%) orders that were deemed potentially nonindicated, the educative approach approved 298 (86.6%). Powell and colleagues appropriately point out that the success of this study protected a substantial number of patients who were in need of diagnostic catheterization, but who might otherwise have been denied it. Ensuring judicious ordering while protecting patients who need care is truly a win-win approach. Although genetics plays a key role in heart disease, poor eating habits, lack of exercise and sleep, and increased stress contribute to lifelong metabolic and structural heart problems that lead to and/or worsen CVD. More community outreach and educational programs are paramount. With the prospects of 45% of the population having CVD, the need for diagnostic testing will rise logarithmically. Despite great advances in noninvasive cardiac testing, diagnostic cardiac catheterization will likely remain the gold standard for evaluating heart disease. As with any invasive procedure, complications from diagnostic cardiac catheterization procedures can occur. Although occurring in less than 1% of patients, complications may involve bleeding, injury to blood vessels, stroke, allergic reactions, and renal damage.5 Doing the right procedure at the right time for the right reason is key to judicious, appropriate, and successful testing for patients. PROVIDERS: Of note, the study by Powell and colleagues found no significant differences in the appropriateness of orders between cardiologists and other providers when prescribing diagnostic cardiac catheterizations. Poor documentation by providers remains pervasive. The success of electronic medical records (EMRs) and computerized physician order entry, in terms of improving documentation and patient safety, is still evolving at best. I have personally been asked to perform coronary artery bypass surgery on patients who did not have coronary artery disease documented in their EMR. No doubt, many orders for diagnostic cardiac catheterization have incomplete documentation as well: education, training, and feedback are the key here. Billions of dollars are being spent in the United States on EMR systems; however, launching a complex software program is not enough. There is no such thing as being finished in providers’ continuing education on the importance of proper documentation, ordering, and billing. To have the resources they need to deliver the care they desire for their patients, providers must learn they need to hit all the right marks and check all the right boxes. When facing a peer-to-peer review, they must view the experience as an educational opportunity. PAYERS: Considering the AHA’s predictions regarding the future of CVD in the United States, it is hard to imagine there will be enough money to provide quality healthcare to all Americans. The United States can, and should, look at the success of other nations, but even there, the issues are more complex than the type of payment model that exists in other countries. There are cultural, societal, and political differences that make the American healthcare system more complex and, perhaps, more difficult to fix. Nevertheless, we must start somewhere. Payers rely on providers and patients to do the right thing, and vice versa. 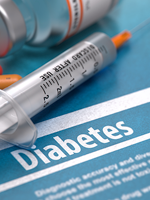 When lifestyle changes and medical therapy are not enough, invasive diagnostic testing may be needed. With CVD accounting for approximately 17% of healthcare expenditures today,1 and rising rapidly, we simply cannot afford to spend a single dollar on unnecessary testing, particularly when that testing can cause harm. Ideally, proper documentation should occur at the source—the interface between the provider and the patient. Until then, using the educative feedback method discussed in this article goes a long way toward aligning the goals of payers, providers, and patients. 1. Heidenreich PA, Trogdon JG, Khavjou OA, et al. Forecasting the future of cardiovascular disease in the United States: a policy statement from the American Heart Association. Circulation. 2011;123:933-944. 2. American Heart Association; American Stroke Association. Cardiovascular disease: a costly burden for America. Projections through 2035. 2017. www.heart.org/idc/groups/heart-public/@wcm/@adv/documents/downloadable/ucm_491543.pdf. Accessed May 31, 2018. 3. Powell AC, Price SE, Nguyen K, et al. Prior authorization for elective diagnostic catheterization: the value of reviewers in cases with clinical ambiguity. Am Health Drug Benefits. 2018;11(4):168-176. 4. Fryar CD, Carroll MD, Ogden CL. Prevalence of overweight and obesity among children and adolescents: United States, 1963-1965 through 2011-2012. September 2014. www.cdc.gov/nchs/data/hestat/obesity_child_11_12/obesity_child_11_12.pdf. Accessed May 31, 2018. 5. West R, Ellis G, Brooks N. Complications of diagnostic cardiac catheterisation: results from a confidential inquiry into cardiac catheter complications. Heart. 2006;92:810-814.